At Great British Glamping we work with music festivals to provide pre-erected Glamping accommodation for festival-goers. Our beautiful bell tents come equipped and furnished allowing relative luxury without having to pack everything you may need before leaving home. We can provide onsite reception facilities, loo hire, pamper tent service and lots of other elements to make sure festival-goers are never without their creature comforts. After all, if you’re going to be embracing the thrills and spills of a live music festival in the British outdoors you might as well Sleep Under 5 Stars with Great British Glamping. 2019 is a fallow year for The Boondocks Festival – it’s back in 2020 so watch this space for more news – 2018 was a ball! Contact us for more information. 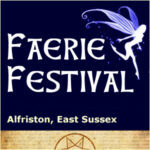 Bookings open for 2019… Luxury Festival Glamping now available for Faerie Festival in Sussex – click here for info. Bookings open for 2019 after another successful event in 2018… Contact us to make a booking for 2019’s Rally in North Yorkshire. Read a statement from the Fieldcrew about the future of Fieldview. 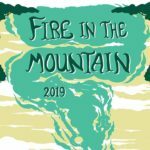 Bookings open for 2019… Pre-pitched accommodation options available now in the Great British Glamping Village at Fire In The Mountain in Wales. Bookings open now for 2019… Bookings open for MAG’s Into The Valley Rally in the East Riding of Yorkshire – to book hello(Replace this parenthesis with the @ sign)greatbritishglamping.com. 2019 is a fallow year for Into The Wild… Back in 2020 so to book exclusive glamping accommodation with Great British Glamping at Into The Wild 2020 in Buckinghamshire please click here. 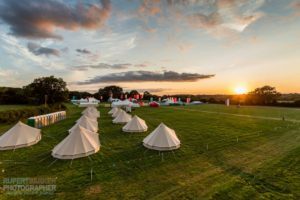 Bookings now open for Staxtonbury 2019… Festival Glamping at North Yorkshire’s famous Staxtonbury is open for booking – click here to contact us for availability and bookings. New for 2019 you can now book glamping at The Yorkshire Pudding Rally… click here to contact us for availability and bookings. If you’re organising a festival or event and would like to know how Great British Glamping can work with you to provide accommodation for your guests please contact us.